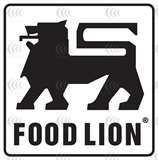 Are you a Food Lion shopper? The word on the street is they will be doubling coupons up to $0.99 next week (9/7 to 9/13). They are doing this just as a trial run one week to see how it goes. Hopefully it will go well and it will be a permanent thing. I am really excited and can't wait to get a lot of good deals!